Disclosure: This post has been sponsored by Store Brand Formula. All thoughts and reviews are my own. It's no secret that when you have kids, your life gets busy. And by adding more to the crew just adds to the chaos. 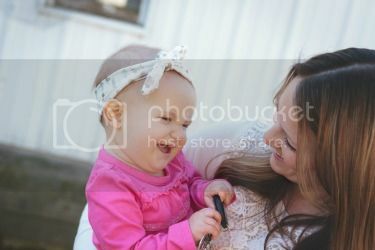 While at times I may want to pull my hair out, I wouldn't trade my crazy mom life for anything. Since becoming a mom eight years ago, I have learned some tips that help keep life moving just a little bit smoother. 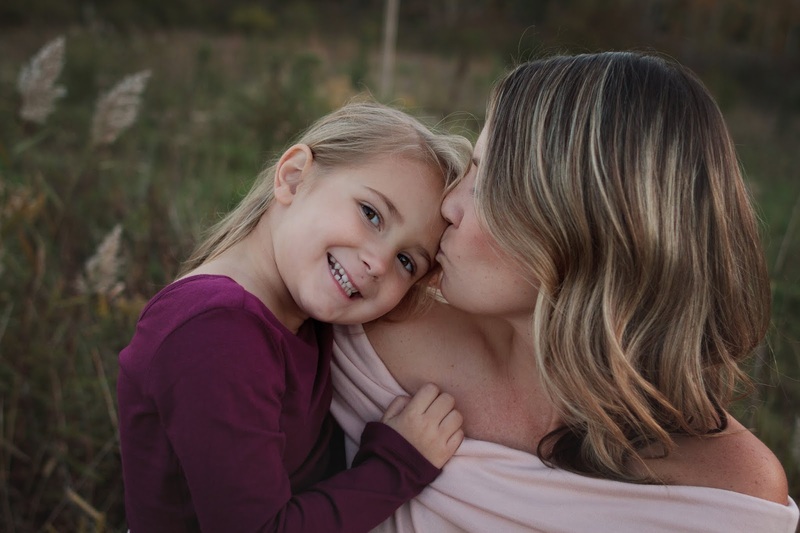 It may not make life perfect, but it does help alleviate some stress and I hope these three mom hacks can be helpful to you too! Now that all three of my kids go to school at least four out of the five days, we are hustling to get ready from the moment we wake up. On Sunday I will pull outfits out for each child for every day that they are in school. My son goes all five days so we pull five outfits for him, including socks and underwear, and set them in the designated drawer. The same thing goes my daughters for each day that they go to school. That way I can wake them up, they get their clothes from the drawer and get dressed and we aren't searching for socks seconds before the bus pulls up. This has also helped me ensure I am on my laundry game because if Cohen doesn't have clean pants, then I know it's time to get a load in the washer. My kids are creatures of nature and will typically eat the same breakfast every morning. I now buy breakfast items in bulk and throw them into the "Breakfast Bin" so I know exactly where to look for their breakfast each morning. This has also helped me push Cohen to be more independent because I can tell him to get his breakfast as soon as he gets dressed and he knows it's ready for him. I started doing the same thing with snacks and created a "Snack Bin" which has been especially helpful if I'm on a call for work or taking a kid to the potty or even if I'm in another room. I simply direct the kids to the snack bin and they know they can choose one of the snacks in there to enjoy for the time being. While this may seem easier said than done, I can't stress how much this one tip has helped me maintain my sanity. Whether it's 10 minutes to eat a cookie alone in my closet, 30 minutes to go for a run outside or even hiring a babysitter one day a week for a couple of hours - when I took the time for myself, I felt as if I was a better person. Mentally I felt positive, I have a lot more patience and overall I feel like I am more present with my family. Being a mom is hard job and many times we put ourselves on the back burner. Pencil in some time for yourself because you know you deserve it. I am not have any kids on formula anymore, but I remember the added stress I felt when it came to feeding my baby. After doing some research when I was pregnant with Lola, I learned about Store Brand Formula and the benefits it could provide my baby and our budget! Store Brand Formula is nutritionally comparable to nationally advertised brands but costs up to 50% less. Infant formula is regulated by the FDA, which means that all ingredients need to meet specific standards. That means that all formula brands contain comparable essential nutrients to make sure baby stays healthy and receives nutrients to grow. Check it out yourself! Plus you can download a free Store Brand Formula e-book on formula feeding. This stage of life my family is in is hard. It's busy. It's chaotic. But when I step back and look at the bigger picture it is clear to me - mom life is the best ife. What are some of your favorite mom hacks? Disclosure: This post has been sponsored by Pedia-Lax®. All thoughts and reviews are my own. Let's have an honest conversation today. Like, a real heart to heart - from one mom to another. I want to talk about something that you deal with on a daily basis. Something that is part of your daily routine that you no longer blink twice at the thought of it. Today we are going to talk about all things poop. See, I knew you wouldn't even flinch. Seriously though, nothing is worse than when your child can't poop. It's a pain you want to fix but one that a bandage and a kiss won't solve. Both of my girls have dealt with severe constipation. My youngest, however, seems to deal with this issue at least twice a month - if not more. While I'm not a medical professional, I do have a few tips that have been helpful for my family to prevent constipation as well as tips that help ease the pain when it hits home. Making sure your kiddo has enough fiber may help keep the constipation at bay. Both of my girls take a daily fiber supplement in the morning and we have found it makes a huge difference. I also stock up on the fiber bars that they both love which are perfect for snacks. This is a hard one because my girls LOVE their milk, but I haven't had to cut it out of their diet completely. However I do limit the amount of yogurt, milk or cheese they consume each day. I find that the more they consume, the easier they get constipated so I am mindful about their dairy choices. When constipation hits, it may be two or three days until Remy poops and clearly my poor girl is in pain. I started using Pedia-Lax® Chewable Tablets because they are formulated for kids ages 2-11, come in a tasty watermelon flavor and provide quick relief (within 30 minutes) and can last up to 6 hours. Plus they offer gentle relief without the painful cramping sometimes associated with laxatives. Pedia-Lax® is the only pediatric brand offering a full line of laxative products that are fast, safe and specifically made just for kids to help support digestive health and ease constipation. All Pedia-Lax® products are available in a variety of forms to meet a child’s specific needs, which helps ease my mind. Constipation is no fun for your kiddo or for you! Taking steps to prevent it before it happens can make things easier on everyone. But when it does happen, it's reassuring to know that there are products out there specifically made for children. For more information on Pedia-Lax® products visit their website. Do you deal with constipation with your children? What do you do to prevent it from happening or ease the pain? This post is sponsored by Depend, Poise, Ensure, and Glucerna but the content and opinions expressed here are my own. My parents are an important part of our family. In fact, they actually stayed with our kids this summer for an extended weekend so my husband and I could get away alone for the first time in 10 years! But I’m not sure what my kids would do without their Nana and Papa. They spoil them to no end and truly take being a grandparent to that special level. We also talk to them daily on the computer or phone and count down the days until our next visit with one another. The fact that my kids are their only grandchildren mean that they hold an even more special place in their heart and make our times together even more special. Recently we started talking about estate planning and the future. While its so important as parents to plan for the things that you hope and pray never happen, but it is equally imperative to make sure your family is taken care of if it does. So the next question that was asked was, “Who will take care of us when we get older and can need help?” It was an open conversation and one that I then had with my own parents. What is their plan and how can I be involved? I want to be their caregiver and will be prepared because it will happen sooner than later. Putting a plan into place is the first step of action. Thinking about schedules and products to fulfill the plan are important. Sam’s Club has a Family Caregivingprogram that is a great resource for caretakers and families alike. This program offers tips and a variety of products to help make the caregiving process easier. From items such as lift chairs to products like Depend, Poise, Ensure, and Glucerna I know my parents will be covered. Plus, with their discrete shipping options and club pick-up, Sam’s Club gives me the peace of mind to know that I can find what I need, when I need it, how I need it as I create our plan for the future. I can easily be prepared and start stocking up on items that will be essential for my caregiving, and keep them stored so I am ready. I’m a planner, probably because that’s the teacher in me, and I think its important to plan for the future and whatever life throws at you. I can’t thank my parents enough for all they have given me and my family and to be chosen as their caregivers is an honor I will gladly take. While the road ahead may not be easy, its comforting to know that I have resources and a business that will support me through my newest journey. Oh sweet summertime - there is so much to love about you! And I'll be the first to admit that my life with three stinkers is FAR from perfect. But if there is one thing I love the most about summer it's the memories we make together that my kids always remember. It all started over two years ago when I was home on maternity leave with my youngest. I needed any reason possible to get out of the house for a hot minute and caffeinate my mind, heart and soul from the severe lack of sleep. Cohen was barely five at the time and I remember him waking up one morning, crawling into bed with me and asking me, "Is it Donut Friday?" From that day on every Friday was proclaimed Donut Friday and we have strongly continued this tradition - especially throughout the summer! Last week's Donut Friday was interrupted by a work meeting and my insane idea of potty training Remy. But there was no way I was going to let a Donut Friday tradition slide past us! On my way home from the meeting, I stopped by the store to buy floor cleaning supplies, chocolate milk and none other than our favorite Entenmann’s® donuts. There was no way I going to break this tradition! Speaking of our favorite donut brand, from now until June 30th, Entenmann’s® is searching for the country’s biggest donut devotee by accepting entries for its sweetest honorary title ever: Chief Donut Officer. I mean, I could totally live up to that title! Donut fans can enter the Entenmann’s® Chief Donut Officer Contest at www.chiefdonutofficer.com for your chance to win this honorary title and some exciting prizes, including $5,000 and a year’s supply of donuts. Yes, I said YEAR'S SUPPLY OF DONUTS. 1. Fans will simply share their love for Entenmann’s® donuts and their ideas for product innovation. 2. Each response will be judged based on passion, creativity and originality. 3. Five finalists will be selected and invited to submit video testimonials about why they deserve to be named Chief Donut Officer. 4. Then, fans across the country will have the opportunity to vote for their favorite candidate! The grand prize winner will be announced on August 7, but all finalists will reap some sweet rewards – all four runners-up will receive $1,000 and free donuts for a year. Just another reason we need to ensure that we are celebrating Donut Friday every week this summer! Oh summertime, you surely are welcome to stay as long as you please. I have no problems making these little memories with my family...even if they do drive me a little batty occasionally. Share with me! What is your favorite summer memory and/or tradition? Be sure to visit www.chiefdonutofficer.com for more information about Entenmann’s® Chief Donut Officer Contest! Motherhood. Boy, is it a hard job. The days are long, the sleep is nonexistent and your chore list grows each day and never stops. 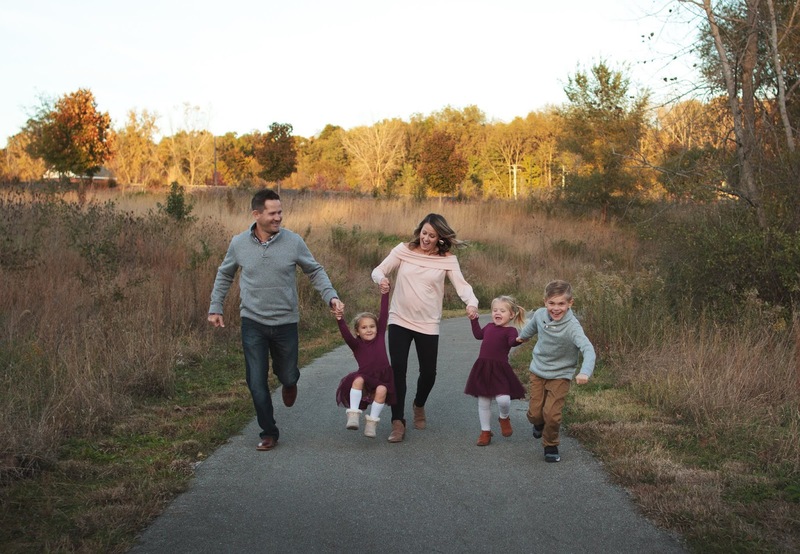 But the hugs, the smiles, the small moments that I share with each of my children are the very reasons as to why I wanted to become a mom in the first place. Every year when Mother's Day rolls around, there are three things that I have on my list: sleeping in, an hour of alone time and then an afternoon with just plain, fun family time. I don't need gifts and I really don't want flowers. I just want some time for me but most importantly time with the people that allowed this holiday to become possible for me. After I spend some time for myself on Mother's Day, I look forward to our family afternoon together. I love these small moments with my family. It doesn't have to be big and fancy, just time together. Last year we started a picnic tradition together and it was a blast! We packed a bunch of snacks and headed to the park for the afternoon. Our time was casual but filled my heart. A year later, my kids are still talking about it too. So with Mother's Day a week away, we have already started planning for our family afternoon adventure for this year! First on our to-do list is snacks - I mean, of course it is, right? So I'll make sure I have a variety of foods that are easy to pack and not a lot of hassle. My kids are huge fans of Entenmann’s® Little Bites® Strawberry Yogurt Muffins. These muffins are made with real strawberries and come in handy pouches that are perfect for snacking on-the-go. Plus,with less than 200 calories per pouch, Little Bites® Strawberry Yogurt Muffins are a good source of calcium and vitamin D, and contain no high fructose corn syrup or trans-fat. Now that's a snack I can feel good about for my family! I love how easy I can throw them into my bag for our family adventure and know my kids will be happy snacking too. As cliche as it sounds, the years really do go by fast. Soon my kids will be too cool for family time and our schedules will get even busier making it hard to spend time together. These small memories together is what fills my heart and reminds me why I love being a mom to these crazy, lovable kiddos. It's a hard job but I wouldn't trade it for anything else! Entenmann’s® Little Bites® is thanking moms for all that they do for everyone by giving away five $100 spa gift cards! That's right, Moms! Take some time for YOU! Just simply log on to https://www.littlebites.com/mothersday to enter for a chance to win the special treat! Be sure to join the NEW Little Bites® rewards program! When you buy 10 five-count boxes of Little Bites® snacks, you'll get 1 FREE! Just send in your receipts by text message, email or website. To get started, send a text message with the keyword “Little Bites” to 811-811, email to redeem@Rewards.LittleBites.com or visit http://rewards.littlebites.com. Disclosure: The coupons for product redemption, information, and gift card have been provided by Entenmann’s Little Bites® so that I could try the product and share information about the Entenmann's Little Bites ® Pouch Recycling Program with TerraCycle® and my thoughts and information about Entenmann’s Little Bites®. The opinions expressed in this post are my own and do not reflect the opinions of Entenmann’s Little Bites®. Last week Indiana got hit with a heat wave - I'm talking 70 degrees in February! If you are from the Midwest then you understand the significance of the first signs of spring. I made sure to leave school as soon as possible to get the kids so we could enjoy an afternoon and evening outside together. The neighborhood was hopping and everyone was out and about, taking in the sights and smells of the spring air. Cohen and a couple of his buddies were in the field next to our house hitting baseballs when he ran over to me with a wrapper and paper cup in his hand. They asked me for a plastic bag to collect the trash because they were sad about all the litter they were finding on the field. I admired their willingness to stop their game to clean up trash that had spent the winter under inches of snow. One small step can go a long way! A few days later when the heatwave was long gone and the rain and snow made an appearance again, I braved the grocery store with all three kids alone to get meals and snacks for the upcoming week. Each kid happily chose their favorite foods, including their box of Entenmann's Little Bites ® for after school snacks. Entenmann’s Little Bites® are the perfect pre-portioned pouches of delicious baked snacks and are just right for little hands and can go easily into the diaper bag, purse or even a lunch box. With flavors like Chocolate Chip and Blueberry Muffin, Little Bites® are baked soft and moist, made with real ingredients, and never contain any high fructose corn syrup. Convenience for mom and tasty snacks for the kids - it's a perfect combination! My life is busy enough, so if there are any ways I can make things easier, it's a win for me! When we got home later that evening, the kids and I were having a conversation about the upcoming Earth Day celebration at their school. Cohen reminded me of how his friends picked up trash with him last week and we talked about how their kind gesture was a great way to help clean our community. We then talked about where the trash goes when it is collected each week and the difference between our trash bin and recycling bin. Both of my kids were amazed to find out that sometimes the items we recycle are used to make other products that can be used in again. I showed them the recycling symbol on a few things we had in the pantry and refrigerator, including on the box and packaging of their Entenmann’s Little Bites® . Together we sorted our recyclables and I showed them which container to put them in. Now, when I ask them to put it in the recycling bin, they know what I'm talking about! 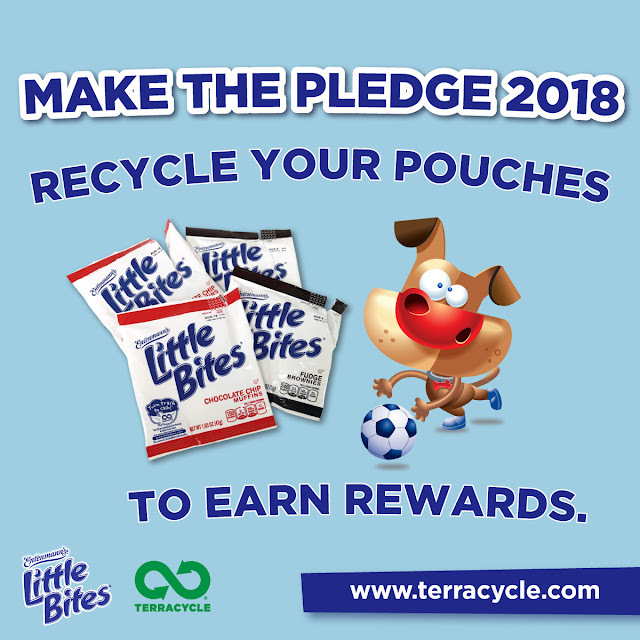 And speaking of recycling, Entenmann’s Little Bites® has teamed up with TerraCycle®, an international recycling company, that turns waste into plastic to be used for products such as park benches, recycling bins and playgrounds. Through the free recycling program, you can collect waste, like Entenmann’s Little Bites® pouches, and ship to TerraCycle® for processing using a pre-paid shipping label. So, from now through April 30, 2018, TerraCycle® and Entenmann’s Little Bites® want to reward you for making the pledge to make eco-friendly choices a habit. If you collect Entenmann’s Little Bites® pouches on behalf of a K-12 school, you could be placed in the running to win a Classroom Party! It’s easy to participate - make the pledge, send in the waste, and earn more rewards! Pledge: your pledge qualifies you for the contest - take it with your family and get entered to win! First Shipment: Send in your first shipment of empty Entenmann’s Little Bites® and earn 500 bonus points. TerraCycle Sweepstakes: K-12 schools-only have the chance to win a Classroom Party as long as they pledge. The classroom party will include five (5) cases of Entenmann’s® Little Bites® and 100 upcycled pencil cases. Check out more details here! The Entenmann's Little Bites ® Pouch Recycling Program is open to any individual, school or organization interested in reducing local landfill waste. To learn more about the Entenmann's Little Bites ® Pouch Recycling Program here. Share with me: How do you encourage your kids to recycle or take care of the Earth? One lucky winner will win a $25 Virtual Visa Gift Card and three coupons for Entenmann’s Little Bites® -- Enter the Rafflecopter below!